This article is about the first king of Bavaria. For the seventeenth century Elector Maximilian I, see Maximilian I, Elector of Bavaria. Maximilian I Joseph (27 May 1756 – 13 October 1825) was Duke of Zweibrücken from 1795 to 1799, prince-elector of Bavaria (as Maximilian IV Joseph) from 1799 to 1806, then King of Bavaria (as Maximilian I Joseph) from 1806 to 1825. He was a member of the House of Palatinate-Birkenfeld-Zweibrücken, a branch of the House of Wittelsbach. 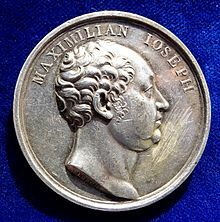 Maximilian, the son of the Count Palatine Frederick Michael of Zweibrücken-Birkenfeld and Maria Francisca of Sulzbach, was born on 27 May 1756 at Schwetzingen, between Heidelberg and Mannheim. After the death of his father in 1767, he was left at first without parental supervision, since his mother had been banished from her husband's court after giving birth to a son fathered by an actor. Maximilian was carefully educated under the supervision of his uncle, Duke Christian IV of Zweibrücken, who settled him in the Hôtel des Deux-Ponts. He became Count of Rappoltstein in 1776 and took service in 1777 as a colonel in the French army. He rose rapidly to the rank of major-general. From 1782 to 1789, he was stationed at Strasbourg. 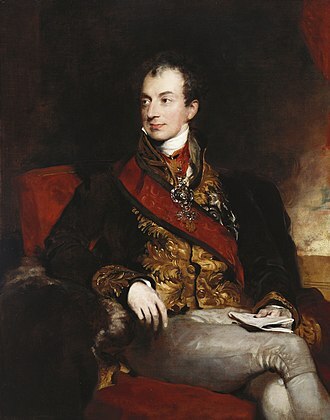 During his time at the University of Strasbourg, Klemens von Metternich, the future Austrian chancellor, was for some time accommodated by Prince Maximilian. 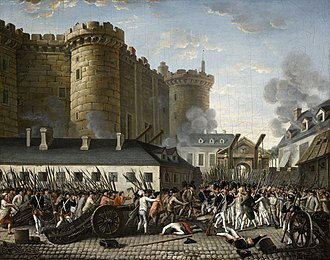 By the outbreak of the French Revolution, Maximilian exchanged the French for the Austrian service and took part in the opening campaigns of the French Revolutionary Wars. 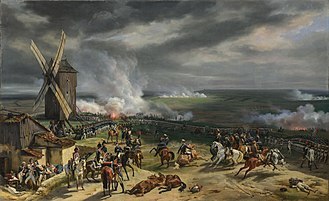 On 1 April 1795, Maximilian succeeded his brother Charles II as Duke of Zweibrücken, however his duchy was entirely occupied by revolutionary France at the time. 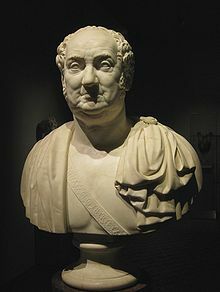 On 16 February 1799, he became Elector of Bavaria and Count Palatine of the Rhine, Arch-Steward of the Empire, and Duke of Berg upon the extinction of the Palatinate-Sulzbach line at the death of Elector Charles Theodore of Bavaria. The new elector Maximilian IV Joseph found the Bavarian army in abject condition on his accession to the throne: Hardly any of the units were at full strength, the Rumford uniforms were unpopular and impractical, and the troops were badly-trained. 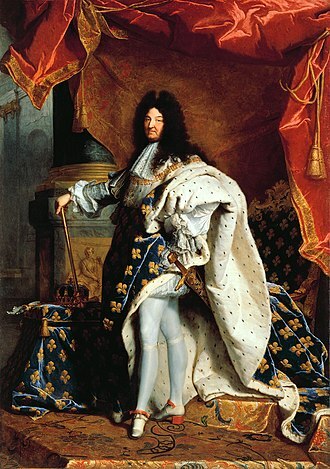 The young Prince-Elector, who had served under the Ancien Régime in France as a colonel in the Royal Deux-Ponts regiment, made the reconstruction of the army a priority. 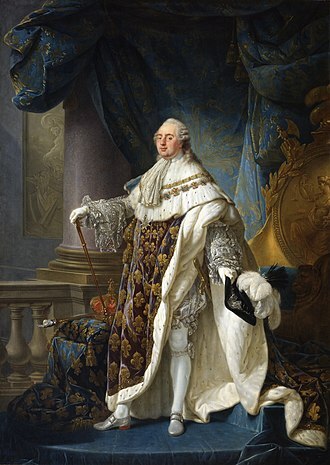 Maximilian's sympathy with France and the ideas of enlightenment at once manifested itself when he acceded to the throne of Bavaria. In the newly organized ministry, Count Max Josef von Montgelas, who, after falling into disfavour with Charles Theodore, had acted for a time as Maximilian Joseph's private secretary, was the most potent influence, wholly "enlightened" and French. Agriculture and commerce were fostered, the laws were ameliorated, a new criminal code drawn up, taxes and imposts equalized without regard to traditional privileges, while a number of religious houses were suppressed and their revenues used for educational and other useful purposes. 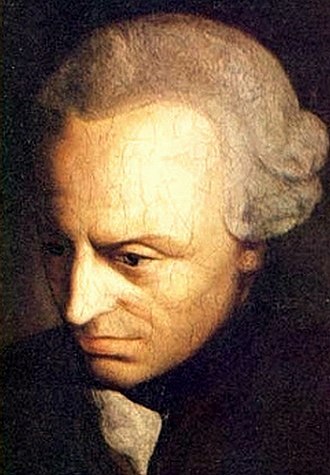 He closed the University of Ingolstadt in May 1800 and moved it to Landshut. In foreign affairs, Maximilian Joseph's attitude was, from the German point of view, less commendable. He never had any sympathy with the growing sentiment of German nationality, and his attitude was dictated by wholly dynastic, or at least Bavarian, considerations. Until 1813, he was the most faithful of Napoleon's German allies, the relationship cemented by the marriage of his eldest daughter to Eugène de Beauharnais. His reward came with the Treaty of Pressburg (26 December 1805), by the terms of which he was to receive the royal title and important territorial acquisitions in Swabia and Franconia to round off his kingdom. He assumed the title of king on 1 January 1806. On 15 March, he ceded the Duchy of Berg to Napoleon's brother-in-law Joachim Murat. The new King of Bavaria was the most important of the princes belonging to the Confederation of the Rhine, and remained Napoleon's ally until the eve of the Battle of Leipzig, when by the Treaty of Ried (8 October 1813) he made the guarantee of the integrity of his kingdom the price of his joining the Allies. On 14 October, Bavaria made a formal declaration of war against Napoleonic France. The treaty was passionately backed by Crown Prince Ludwig and by Marshal von Wrede. By the first Treaty of Paris (3 June 1814), however, he ceded Tyrol to Austria in exchange for the former Grand Duchy of Würzburg. At the Congress of Vienna, which he attended in person, Maximilian had to make further concessions to Austria, ceding Salzburg and the regions of Innviertel and Hausruckviertel in return for the western part of the old Palatinate. 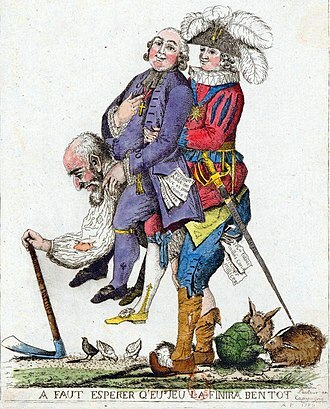 The king fought hard to maintain the contiguity of the Bavarian territories as guaranteed at Ried but the most he could obtain was an assurance from Metternich in the matter of the Baden succession, in which he was also doomed to be disappointed. Presentation medal of the Bavarian Parliament (Bayerische Ständeversammlung) 1819 to their King Maximilian I Joseph, on the first anniversary of the constitution of 1818, obverse. Presentation medal of the Bavarian Parliament (Bayerische Ständeversammlung) 1819 to their King Maximilian I Joseph, on the first anniversary of the constitution of 1818, reverse. At Vienna and afterwards Maximilian sturdily opposed any reconstitution of Germany which should endanger the independence of Bavaria, and it was his insistence on the principle of full sovereignty being left to the German reigning princes that largely contributed to the loose and weak organization of the new German Confederation. The Federative Constitution of Germany (8 June 1815) of the Congress of Vienna was proclaimed in Bavaria, not as a law but as an international treaty. It was partly to secure popular support in his resistance to any interference of the federal diet in the internal affairs of Bavaria, partly to give unity to his somewhat heterogeneous territories, that Maximilian on 26 May 1818 granted a liberal constitution to his people. Montgelas, who had opposed this concession, had fallen in the previous year, and Maximilian had also reversed his ecclesiastical policy, signing on 24 October 1817 a concordat with Rome by which the powers of the clergy, largely curtailed under Montgelas's administration, were restored. The new parliament proved to be more independent than he had anticipated and in 1819 Maximilian resorted to appealing to the powers against his own creation; but his Bavarian "particularism" and his genuine popular sympathies prevented him from allowing the Carlsbad Decrees to be strictly enforced within his dominions. The suspects arrested by order of the Mainz Commission he was accustomed to examine himself, with the result that in many cases the whole proceedings were quashed, and in not a few the accused dismissed with a present of money. Maximilian died at Nymphenburg Palace, in Munich, on 13 October 1825 and was succeeded by his son Ludwig I. Maximilian is buried in the crypt of the Theatinerkirche in Munich. Under the reign of Maximilian Joseph the Bavarian Secularization (1802–1803) led to the nationalisation of cultural assets of the Church. The Protestants were emancipated. In 1808 he founded the Academy of Fine Arts Munich. 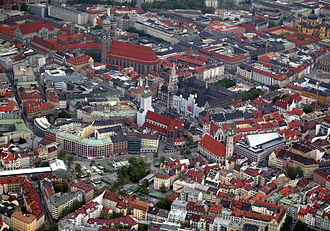 The city of Munich was extended by the first systematic expansion with the new Brienner Strasse as core. In 1810 Max Joseph ordered construction of the National Theatre Munich in French neo-classic style. The monument Max-Joseph Denkmal before the National Theatre was created in the middle of the square Max-Joseph-Platz as a memorial for King Maximilian Joseph by Christian Daniel Rauch and carried out by Johann Baptist Stiglmaier. It was only revealed in 1835 since the king had rejected to be eternalized in sitting position. In 1801 he led the rescue operation when a glassmaker's workshop collapsed, saving the life of Joseph von Fraunhofer, a 14-year-old orphan apprentice. Max Joseph donated books and directed the glassmaker to give Fraunhofer time to study. Fraunhofer went on to become one of the most famous optical scientists and artisans in history, inventing the spectroscope and spectroscopy, making Bavaria noted for fine optics, and joining the nobility before his death at age 39. He was elected a Royal Fellow of the Royal Society in 1802. As a monarch, Max Joseph was very close to the citizens, walked freely along the streets of Munich without great accompaniment, and conversed with his people in a casual manner. Regardless, he was somewhat eccentric, like some of his descendants and successors. Ludwig I of Bavaria (25 August 1786 – 29 February 1868), married Therese of Saxe-Hildburghausen. Princess Augusta Amalia Ludovika, (21 June 1788 – 13 May 1851), married Eugène de Beauharnais, Duke of Leuchtenberg. Princess Amalie Marie Auguste (9 October 1790 – 24 January 1794), died in childhood. Princess Caroline Augusta (8 February 1792 – 9 February 1873), married William I of Württemberg, and then Francis II of Austria. Prince Karl Theodor Maximilian (7 July 1795 – 16 August 1875), married morganatically to Marie-Anne-Sophie Petin. Maximilian's second wife was Karoline of Baden, daughter of Margrave Karl Ludwig of Baden (13 July 1776 – 13 November 1841). They were married on 9 March 1797 in Karlsruhe. They had eight children. King Maximilian was also the father of two sets of twin girls, Elisabeth and Amalie born in 1801, as well as Sophie and Marie Anne born in 1805. Prince Maximilian Joseph Karl Friedrich (28 October 1800 – 12 February 1803), died in infancy. Princess Elisabeth Ludovika ("Elise") (13 November 1801 – 14 December 1873) twin sister of Amalie Auguste. Married Frederick William IV of Prussia. Princess Amalie Auguste (13 November 1801 – 8 November 1877) twin sister of Elisabeth Ludovika. Married John I of Saxony. Princess Sophie Friederike Dorothee (27 January 1805 – 1872) twin sister of Marie Anna. Married Archduke Franz Karl of Austria, mother of Franz Joseph I of Austria and Maximilian I of Mexico. Princess Marie Anne Leopoldine (27 January 1805 – 13 September 1877) twin sister of Sophie. Married Frederick Augustus II of Saxony. Princess Ludovika Wilhelmine (30 August 1808 – 25 January 1892), married Duke Maximilian Joseph in Bavaria. Princess Maximiliana Josepha Karoline (21 July 1810 – 4 February 1821), died in childhood. Wikimedia Commons has media related to Maximilian I Joseph of Bavaria. ^ a b c d e f g h i j k l m n o p q Chisholm 1911, p. 291. ^ Chisholm 1911, p. 291 cites Baden History, iii, 506. ^ Genealogie ascendante jusqu'au quatrieme degre inclusivement de tous les Rois et Princes de maisons souveraines de l'Europe actuellement vivans [Genealogy up to the fourth degree inclusive of all the Kings and Princes of sovereign houses of Europe currently living] (in French). Bourdeaux: Frederic Guillaume Birnstiel. 1768. p. 94. "Libray Catalog". Royal Society. Retrieved 14 August 2012. This article incorporates text from a publication now in the public domain: Chisholm, Hugh, ed. (1911). "Maximilian I, King of Bavaria". Encyclopædia Britannica. 17 (11th ed.). Cambridge University Press. p. 921. Heidelberg is a college town situated on the river Neckar in south-west Germany. At the 2015 census, its population was 156,257, located about 78 km south of Frankfurt, Heidelberg is the fifth-largest city in the German state of Baden-Württemberg. Heidelberg is part of the densely populated Rhine-Neckar Metropolitan Region, founded in 1386, Heidelberg University is Germanys oldest and one of Europes most reputable universities. A scientific hub in Germany, the city of Heidelberg is home to internationally renowned research facilities adjacent to its university. Heidelberg is in the Rhine Rift Valley, on the bank of the lower part of the Neckar in a steep valley in the Odenwald. It is bordered by the Königsstuhl and the Gaisberg mountains, the Neckar here flows in an east-west direction. On the right bank of the river, the Heiligenberg mountain rises to a height of 445 meters, the Neckar flows into the Rhine approximately 22 kilometres north-west in Mannheim. Villages incorporated during the 20th century stretch from the Neckar Valley along the Bergstraße, Heidelberg is on European walking route E1. Alongside the Philosophenweg on the side of the Old Town. There is a population of African rose-ringed parakeets, and a wild population of Siberian swan geese. Heidelberg is an authority within the Regierungsbezirk Karlsruhe. The Rhein-Neckar-Kreis rural district surrounds it and has its seat in the town, Heidelberg is a part of the Rhine-Neckar Metropolitan Region, often referred to as the Rhein-Neckar Triangle. The Rhein-Neckar Triangle became a European metropolitan area in 2005, Heidelberg consists of 15 districts distributed in six sectors of the town. The new district will have approximately 5, 000–6,000 residents, Heidelberg has an oceanic climate, defined by the protected valley between the Pfälzerwald and the Odenwald. Year-round, the temperatures are determined by maritime air masses coming from the west. In contrast to the nearby Upper Rhine Plain, Heidelbergs position in the leads to more frequent easterly winds than average. The hillsides of the Odenwald favour clouding and precipitation, the warmest month is July, the coldest is January. Mannheim is a city in the southwestern part of Germany, the third-largest in the German state of Baden-Württemberg after Stuttgart and Karlsruhe. Mannheim is among the twenty largest cities in Germany, with a 2015 population of approximately 305,000 inhabitants, the city is at the centre of the larger densely populated Rhine-Neckar Metropolitan Region which has a population of 2,400,000 and is Germanys eighth-largest metropolitan region. 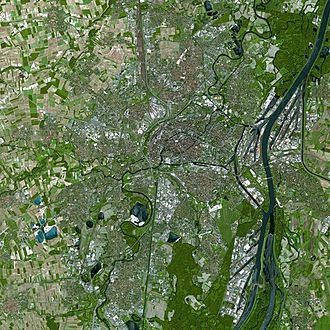 Mannheim is located at the confluence of the Rhine and the Neckar in the corner of Baden-Württemberg. The Rhine separates Mannheim from the city of Ludwigshafen, just to the west of it in Rhineland-Palatinate, Mannheim is downstream along the Neckar from the city of Heidelberg. Mannheim is unusual among German cities in that its streets and avenues are laid out in a grid pattern, the eighteenth century Mannheim Palace, former home of the Prince-elector of the Palatinate, now houses the University of Mannheim. In addition, Mannheims SAP Arena is not only the home of the German ice hockey record champions the Adler Mannheim, but the well-known handball team, the Rhein-Neckar Löwen. According to the Forbes magazine, Mannheim is known for its exceptional power and was ranked 11th among the Top 15 of the most inventive cities worldwide. The New Economy Magazine elected Mannheim under the 20 cities that best represent the world of tomorrow emphasizing Mannheims positive economic, since 2014, Mannheim has been a member of the UNESCO Creative Cities Network and holds the title of UNESCO City of Music. Mannheim is a Smart City the citys electrical grid is installed with a Power-line communication network, the citys tourism slogan is Leben. The civic symbol of Mannheim is der Wasserturm, a Romanesque water tower completed in 1886 that rises to 60 metres above the highest point of the art nouveau area Friedrichsplatz, Mannheim is the starting and finishing point of the Bertha Benz Memorial Route. The name of the city was first recorded as Mannenheim in a transaction in 766. The name is interpreted as the home of Manno, a form of a Germanic name such as Hartmann or Hermann. Mannheim remained a mere village throughout the Middle Ages, in 1606, Frederick IV, Elector Palatine started building the fortress of Friedrichsburg and the adjacent city centre with its grid of streets and avenues. Maximilian I, Duke/Elector of Bavaria, called the Great, was a Wittelsbach ruler of Bavaria and a prince-elector of the Holy Roman Empire. His reign was marked by the Thirty Years War, Maximilian I was born in Munich, the eldest son of William V, Duke of Bavaria and Renata of Lorraine to survive infancy. He was educated by the Jesuits, and upon his fathers abdication, in 1595 he married his cousin, Elisabeth Renata, daughter of Charles III, Duke of Lorraine, and became Duke of Bavaria upon his fathers abdication in 1597. His first marriage to Elisabeth Renata was childless, the main motivation for this swift remarriage was not so much political grounds as the hope of producing a prince to inherit. In contrast to the Electors first wife, Maria Anna was very interested in politics and she was not bound to the Habsburgs, but rather completely advocated the Bavarian standpoint. Additionally, she conducted lively exchanges of opinion with high officials of the Munich court, by her he left two sons, Ferdinand Maria, who succeeded him, and Maximilian Philip. As the ablest prince of his age he sought to prevent Germany from becoming the battleground of Europe, weak in health and feeble in frame, Maximilian had high ambitions both for himself and his duchy, and was tenacious and resourceful in prosecuting his designs. 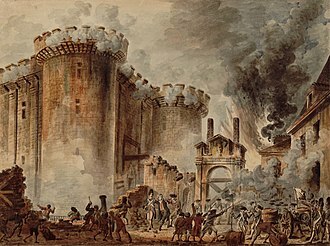 In December 1607 his troops occupied the city, and vigorous steps were taken to restore the supremacy of Catholicism. Under his leadership an army was set on foot, but his policy was strictly defensive, dissensions among his colleagues led the duke to resign his office in 1616, but the approach of trouble brought about his return to the League about two years later. Having refused to become a candidate for the throne in 1619. After some delay he made a treaty with Ferdinand II, Holy Roman Emperor in October 1619, anxious to curtail the area of the struggle, he made a treaty of neutrality with the Protestant Union, and occupied Upper Austria as security for the expenses of the campaign. On 8 November 1620 his troops under Johann Tserclaes, Count of Tilly defeated the forces of Frederick, King of Bohemia and Count Palatine of the Rhine, subsequently Ferdinand II released Upper Austria as a pawn for Maximilian until 1628. Princess Maximiliana Josepha Caroline of Bavaria, was a Princess of Bavaria, daughter of King Maximilian I Joseph of Bavaria and Queen Caroline of Baden. Maximiliana was born in Nymphenburg Palace, the residence of the kings of Bavaria. She was the last child of Maximilian I Joseph of Bavaria and his second wife and her mother gave birth to eight children, only her eldest brother Maximilian, died in childhood. In 1821, Maximiliana fell ill with typhus, and died at the age of ten and her death was a devastating blow to her mother. She was buried at the Theatine Church, Munich, in 1814, Maximiliana was immortalized by the painter Joseph Karl Stieler in an oil painting which appears embracing a lamb with her twin sisters Elisabeth and Amalie. After her death, her mother ordered more paintings to Joseph Stieler, Stieler painted her on her deathbed, and made a full-length portrait of the princess. Hans Rall, Marga Rall, Die Wittelsbacher, von Otto I. bis Elisabeth I, Tosa Hans Rall, Wittelsbacher Lebensbilder von Kaiser Ludwig bis zur Gegenwart. Princess Caroline Augusta of Bavaria was a daughter of Maximilian I Joseph, King of Bavaria and his wife, Augusta Wilhelmine of Hesse-Darmstadt, and a member of the House of Wittelsbach. She was married to Crown Prince William of Württemberg, whom she divorced, from 1816–1835, she was Empress of Austria in her second marriage. On 8 June 1808, at Munich, Caroline Augusta married Crown Prince William becoming Crown Princess of Württemberg and they had no children and were divorced on 31 August 1814. Her first marriage was arranged to avoid a marriage arranged by Napoleon. After the marriage ceremony, her spouse said to her, We are victims to politics and she spent her time writing letters to her brother Louis, and learning Italian and English. The couple never bonded with other and the marriage was finally annulled by Pope Pius VII to enable both of them to make remarriages that were valid in the Catholic Church. At the time of the annulment, it was claimed by them that they had lived separately in the palace, after the annulment of her marriage, Caroline Augusta was considered as a bride for both the Emperor Francis II and his younger brother, Ferdinand. 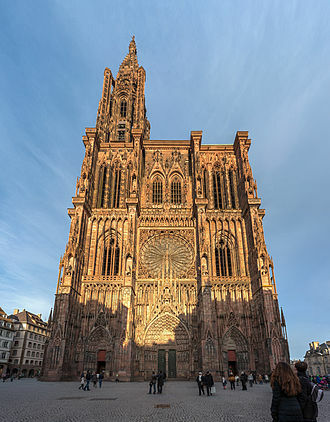 The University of Strasbourg in Strasbourg, France, is the second largest university in France, with about 46,000 students and over 4,000 researchers. On 1 January 2009, the fusion of three universities reconstituted a united University of Strasbourg. With as many as 18 Nobel laureates, the university is now ranked among the best in the League of European Research Universities, the university emerged from a Lutheran humanist German Gymnasium, founded in 1538 by Johannes Sturm in the Free Imperial City of Strassburg. It was transformed to a university in 1621 and elevated to the ranks of a university in 1631. Among its earliest university students was Johann Scheffler who studied medicine and converted to Catholicism and became the mystic and poet Angelus Silesius. The Lutheran German university still persisted even after the annexation of the City by King Louis XIV in 1681, during the German Empire the university was greatly expanded and numerous new buildings were erected because the university was intended to be a showcase of German against French culture in Alsace. 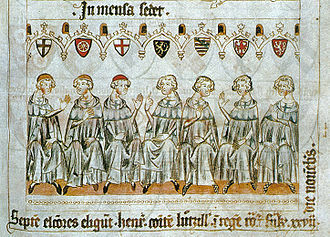 Illustration from the 1341 Codex Balduini Trevirorum showing the electors in deliberation (left to right: Archbishop of Cologne, Archbishop of Mainz, Archbishop of Trier, Count Palatine of the Rhine, Duke of Saxony, Margrave of Brandenburg and King of Bohemia). Detail of a painting of Princess Maximiliana embracing a lamb, by Joseph Karl Stieler, 1814. Full painting of Princess Maximiliana (embracing a lamb) with two of her sisters, Princesses Elisabeth and Amalie, Joseph Karl Stieler, 1814. Tomb of Maximiliana at the Theatine Church, Munich.